Provides comfort and cushioning in day-to-day walking. 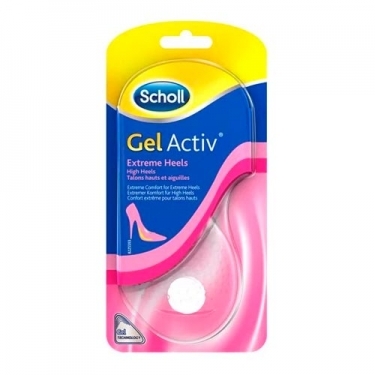 DESCRIPTION: Gelactiv Insoles High Heels from Dr. Scholl are insoles for jumps greater than 5.5 cm, which focus on stability and comfort. Adhesive material and non-slip stitches on the insole surface prevent perspiration from slipping. The ultra-soft gel material relieves pressure on the forefoot area. Extremely comfortable for extremely high heels. Indicated for jumps with greater slope.